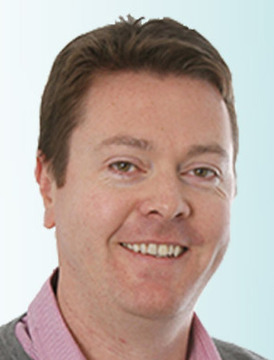 Brendan Crossan has worked in the Irish News sports department since 1999. He started out as a placement student and somehow bluffed his way into a staff position a year later. A Belfast native, his sporting interests include soccer, boxing and gaelic games. He writes The Boot Room sports column every Friday. Highlights of his career are interviewing boxing legend Tommy Hearns and covering the 2002 World Cup finals and Euro 2012 as the newspaper's Republic of Ireland correspondent. ANTRIM minor captain Ruairi Hagan knows that the winners of tonight’s Ulster MFC preliminary round tie between Down and Monaghan will feel they have a handy path to this year’s semi-finals. THE Dunloy minor footballers may have skated to last season’s county title – but they don’t have any representatives on this year’s county minor team. CIARAN McKeever’s phone buzzed on Christmas Eve last year. AS John Delaney ran on to the pitch punching the air and saluting the Republic of Ireland fans in the Le Coq Arena in Tallin eight years ago, reporters rolled their eyes and continued to type furiously to beat the deadlines back home. RYAN Catney has revealed he is “devastated” to be leaving Cliftonville – but still wants to play in the Irish Premiership next season. DERRY minor manager Paddy Campbell has urged the Ulster Council to reconsider playing the U17 provincial Championship games as curtain raisers to the senior Championship again.